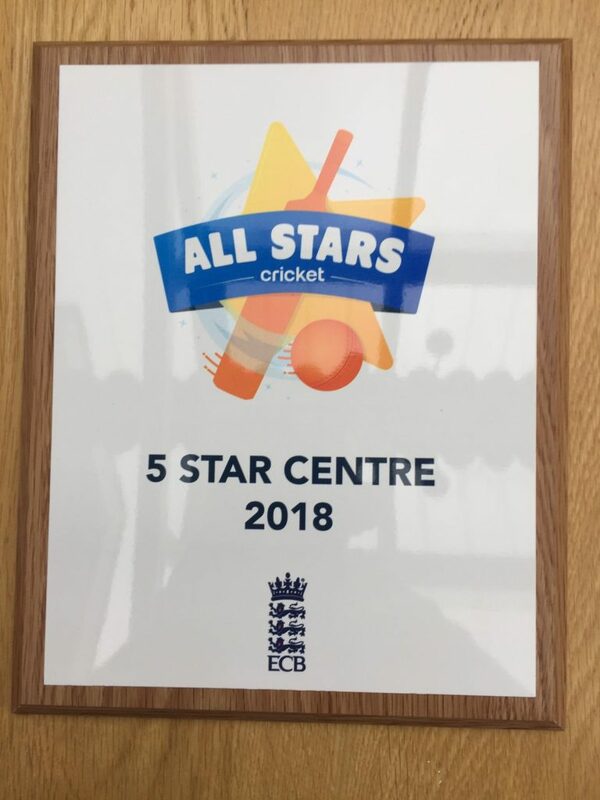 Thame Town Cricket Club is very proud to recently have been awarded a 5-star rating by the ECB, for our All Stars Cricket programme in the Summer of 2018 at Church Meadow. We are one of only 5 clubs in the whole of Oxfordshire to receive this accolade, which is based on the feedback from the parents of all the All Stars at Thame Town Cricket Club. The award is testament to the hard work, preparation and the enthusiasm of all the coaches and helpers for making it a really fun, first experience of cricket for the All Stars. Due to unprecedented demand, we are now fully subscribed to All Stars this season. So that we can safe guard the children and ensure good quality sessions, we have a maximum coach-to-child ratio which restricts our numbers to 56 children. We would recommend other local clubs to contact for All Stars; Tiddington, Chearsley and Haddenham. 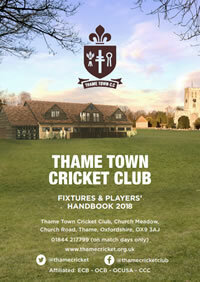 Thank you for your interest in Thame Town Cricket Club. ← Thame Cycling Club celebrates 5th Anniversary!